Book your private jet charter to Luxembourg, a small European country surrounded by Belgium, France and Germany. Air Charter Advisors offers 24 hour private jet charters in Luxembourg to luxury and executive travelers around the globe. Officially known as the Grand Duchy of Luxembourg, it’s a landlocked country in western Europe offering various terrains. 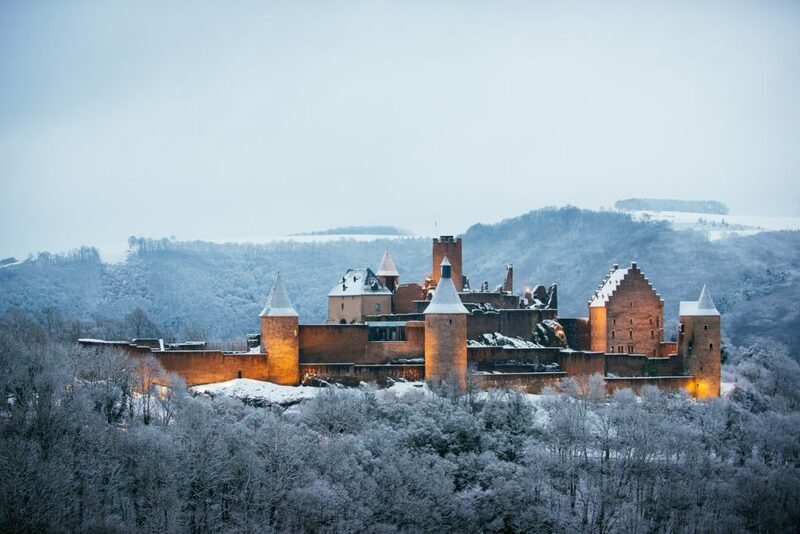 It’s mostly rural with dense Ardennes forest and nature parks to the north, rocky gorges of the Mullerthal region to the east, and the Moselle river valley to the southeast. Find the best plane at the best price for your private charter flight to/from Luxembourg with our 24/7 air charter services. Our brokers connect private flyers to a variety of planes for flights within Europe or any destination worldwide. Fly private using our Luxembourg jet charter service. Charter a private jet to Luxembourg, a small, landlocked nation in the Benelux. Bordered by Belgium, France and Germany, it’s where Germanic and Latin cultures intersect. It’s also the world’s only Grand Duchy, and the second-smallest of the European Union nations behind only Malta. Its capital and only private jet destination, Luxembourg City, is known for its medieval old town perched on sheer cliffs. It’s also one of the three official capitals of the European Union alongside Brussels and Strasbourg, and home to the seat of the European Court of Justice, the highest judicial authority in the EU. Its culture, people, and languages are highly influenced by its neighbors, resulting in a mixture of French and German cultures, as evidenced by its three official languages: French, German, and the national language, Luxembourgish, which can be considered a dialect of German. It’s history, as well as its global position, has been influenced by the same niehgbors: repeated invasions by Germany, especially during WWII, created a strong will for mediation between France and Germany, which helped foster the creation of the European Union. Successful steel, financial, and high technology industries are strategically located in the heart of Western Europe. Despite the high production capacity, the country offers more natural beauty than most would assume given its diminutive stature. Luxembourg is also one of the three richest countries in the world, with its residents enjoying a high standard of living. Check it out for yourself with ACA private jet charter services in the following destinations. Request a Quote or give us a call at 1-888-987-5387 to speak with one of our private jet charter brokers for your next luxury vacation, business trip, or special event in Luxembourg.